Having an event and looking for a lovely room in a centrally located venue? The Weisman Center has rooms available to rent for all occasions. Come visit our bright, cheery center, and we will give you a tour of the rooms available for rent, along with rental information. Main Ballroom holds up to 130 guests with a dance floor, or up to 150 guests without a dance floor. Piano Room holds up to 60 guests with a dance floor or 85 guests theater style. Small Conference Room available for up to 12 attendees. A Classroom that may be configured a number of different ways. Rooms have Audio/Video, projection screens, & computer output connectivity. A separate "Prep Kitchen" is available upon request. Free Parking in our large adjacent off-street lot. 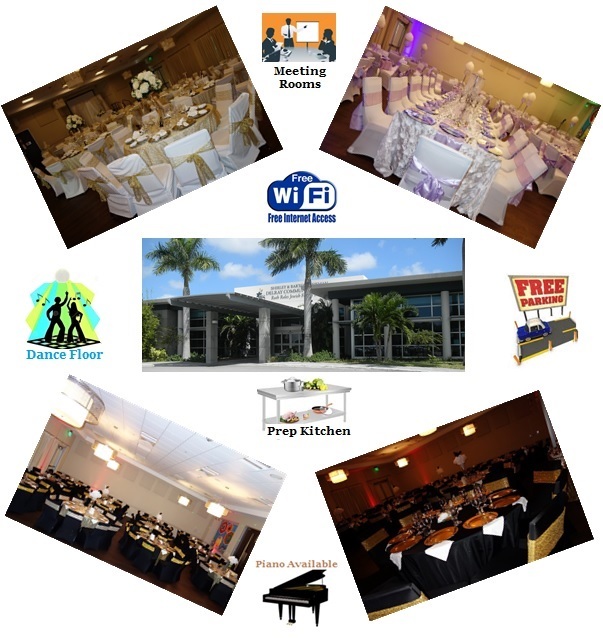 Whether you are planning a social event (Wedding, Birthday, Reception, etc. ), or a business meeting (sales training, corporate party, annual meeting, etc. ), the Weisman Center may be the perfect venue at a very reasonable price!